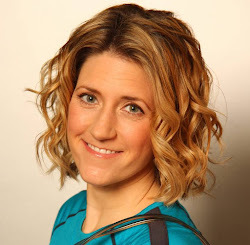 Pt Mollie: Does measuring activity levels make it less fun? Does measuring activity levels make it less fun? A recent study, highlighted in this article, indicated that measuring an activity makes people less motivated to do it. This result wasn't only with wearing an activity tracker, but with reading and coloring in shapes as well. The point the researchers are trying to make it that if you are doing something just for the sake of doing it, not towards a goal, makes it less enjoyable. My first activity tracker was a FitBug, which just tracked my steps for the day. I found it really motivating to get more steps in each day. Since then, I have had other step counters, heart rate monitors, and GPS trackers. Do they make my workouts fun? I guess that depends on your definition of fun. When my trackers don't work, or I forget them, I tend to get upset. It is like my workout didn't even count if I can't track it somehow. Which is a shame, as my body benefits whether or not I have an official record of the account. I also get stressed at night if I am a few hundred steps away from my next reward level, but am about to get into bed. I feel compelled to walk around the flat until I have accumulated enough to hit my target. That is not fun for me or my husband. Remembering to pack a charged activity tracker before a big race and then hoping it doesn't die on me isn't fun either. But the achievement itself can be rewarding (and then be deemed 'fun') to some people. My mom found it fun when she learned how to use her iHealth app on her iPhone. It was when she was visiting me in London, but she didn't bring her FitBit with her. Every night, she would be so pumped to see how many steps she walked around London that day. I am a scientist by training, so I like data. I like watching my progress over time and seeing an improvement in my splits and overall efforts. It is fun when I log a PB or 50,000+ steps in a day (hint: running 26.2 miles helps) as I feel like I have accomplished something. That, to me, is fun (especially when my tracked activities give me rewards on Bounts (referral code: Millington1695) or with Health Rewards). I am a competitive person, so beating myself is a good goal to work towards with the data I accumulate. The tracker might also make me workout harder, for example if I use my heart rate data in real time. I will know when I should push myself a bit more, which might not seem fun as it will be hard work, but it will pay off in the end (as soon as those endorphins start flowing). Overall, activity trackers help me enjoy my workouts. This result is a combination of earning rewards, bring competitive by nature, and seeing an improvement in my performance. But I think this is an individualistic trait that might not resonate with everyone. My ethos is to find something you enjoy and keep doing it to make being healthy fun. I recommend giving an activity tracker a try to see if you find it helps you be move more. There are many free apps you can download if you want to try before you buy. Having it on your phone might be limiting though so consider if carrying a phone versus wearing a bracelet would capture the same data. Are you an activity tracker convert? Or is your's sitting in a drawer somewhere? 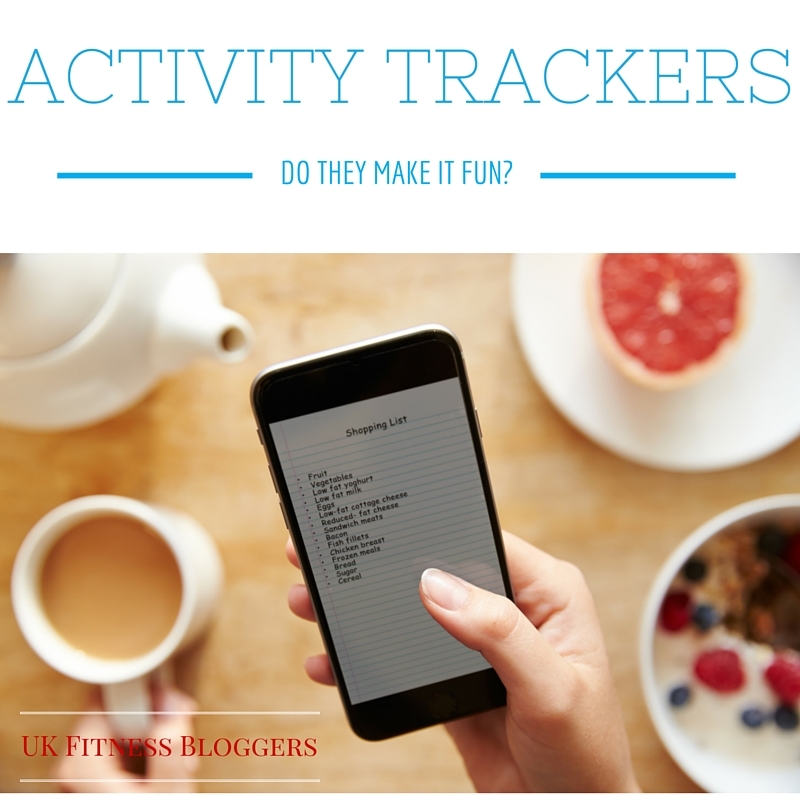 Did you find exercise more or less fun after wearing a tracker? This post is part of a debate with fellow UK Fitness Bloggers. Read a few more posts on the topic, won't you? Another fab insight, Elle, about personality types preferring certain trackers. We should do a poll! I do like the image of you pacing around the flat before bed until you hit your goal while your husband waits patiently! I too like to know where my body is in terms of heart rate, and it reminds me that I need more cardio in my life. More cardio? Surely you must do a ton when you teach yoga and dance? Or perhaps you are strong cardiovascularly from so many years of training that you don't see much on your HRM? I'm also guilty of walking around my home or marching on the spot until I reach my target and I own several garmins and polar trackers. In general I think you're right about trackers and tracking being down to personality. There seems to be some strong trends of competitiveness and liking data across all these linked blogs! Maybe we meed to have a 'step off' to see which of us can be champ? If I track my steps I feel like I accomplished something, unless the number is low. So when I wear it, I think I walk more because I am more conscious of exercising. So wearing it helps me do more! Day to day the 10,000 steps is hard to accomplish for me. The fun part is seeing a high number of steps.